Welcome to Biloxi Bounce House! Thank you for visiting BiloxiBounceHouse.com; your source for the best events on the Gulf Coast. 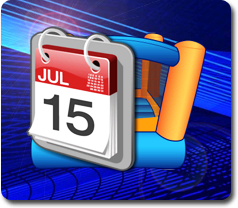 Here you'll find great deals on exciting party rental equipment like bounce houses, bounce & slide combos, water slides and so much more. At Biloxi Bounce you can be sure your rental equipment will show up ready to work, clean and sanitized. Your safety and that of your guests are our first priority, so all our rentals are inspected regularly and have all the latest safety features. Biloxi Bounce provides professional event planning services and equipment delivery throughout the greater Biloxi Mississippi area and surrounding communities like Ocean springs, Gulfport, Gautier, Diberville, Pascagoula, Moss Point, Saucier, Hurley, and Pass Christian. Ordering online at BiloxiBounceHouse.com is as easy as one, two, three! You can click on the "Order By Date" button and enter your event date and times. Then as you browse the site, you'll be presented with those items available on your date. 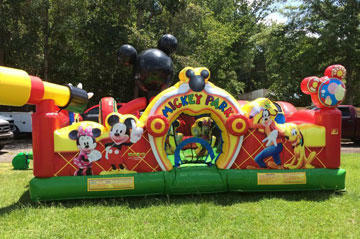 Get America's favorite attraction for next event, and reserve your bounce house today! 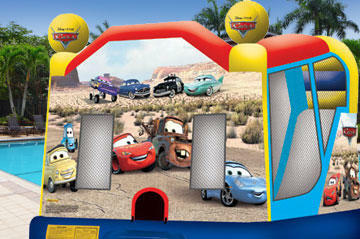 Our bouncer rentals come in a variety of themes and colors. Rent yours today! Biloxi Bounce has a great selection of bounce & slide combos for our Gulf Coast customers. Choose your favorite theme. 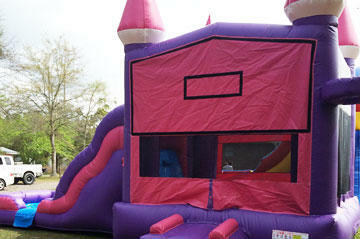 Our pink castle combo is perfect for a princess party. These are our most popular bounce & slide combos. These 4in1 bounce house combos offer up to four different activities for endless hours of activity. These adorable toddler bounce playgrounds are designed for the youngest of guests. Great choice for a safe place for the toddlers to play safely away from the larger children. 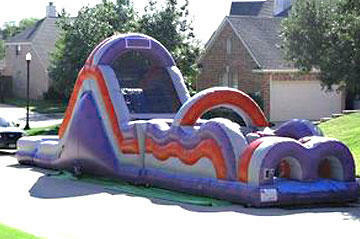 Biloxi Bounce House is water slide central on the Gulf Coast with Biloxi's best selection of giant water slide rentals. Choose from the biggest and baddest slides around. 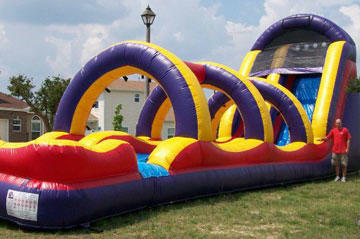 Obstacle courses are a great solution for schools, church groups and company picnic team building activities. These awesome challenge courses will bring your guest together fast! 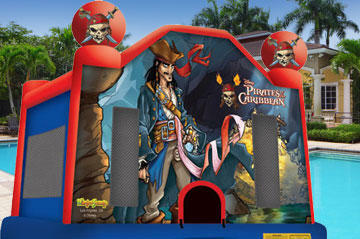 Get ready for fun with Biloxi Bounce House's interactive game rentals. 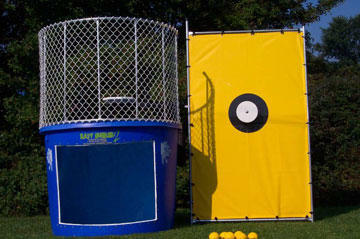 Like the classic Dunk Tank! This is a proven crowd pleaser as much fun to watch as it is to participate! 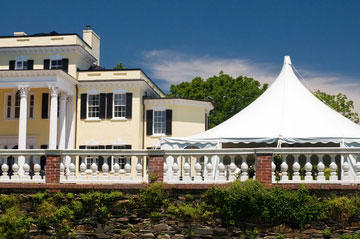 Create an awesome outdoor celebration space with one of our classic frame tent canopies. Beautiful designs perfect for family reunions, wedding receptions and graduation parties. If you're in charge of the party planning, don't forget the "fun food". 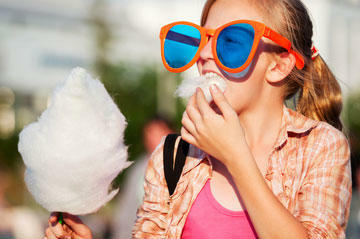 Serve up fresh popcorn, cotton candy and sno-kones just like the circus or state fair. All machines are easy to use.